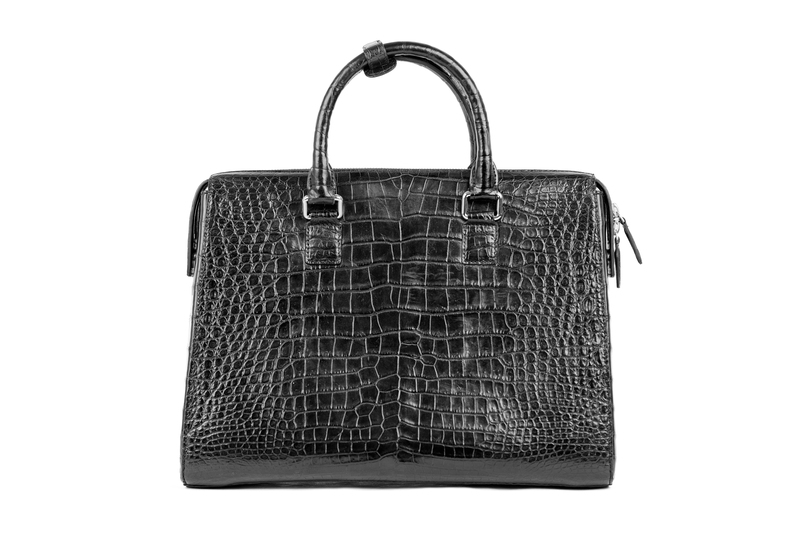 The Smooth briefcase epitomizes sophistication with is extravagant texture of genuine belly crocodile leather and bold design. 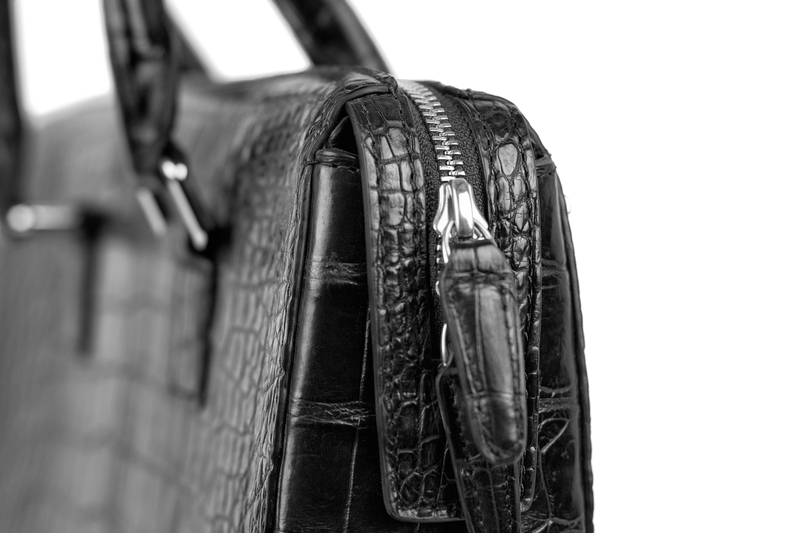 The briefcase features a top handle, detachable shoulder strap, and top zipper is a great level of security. 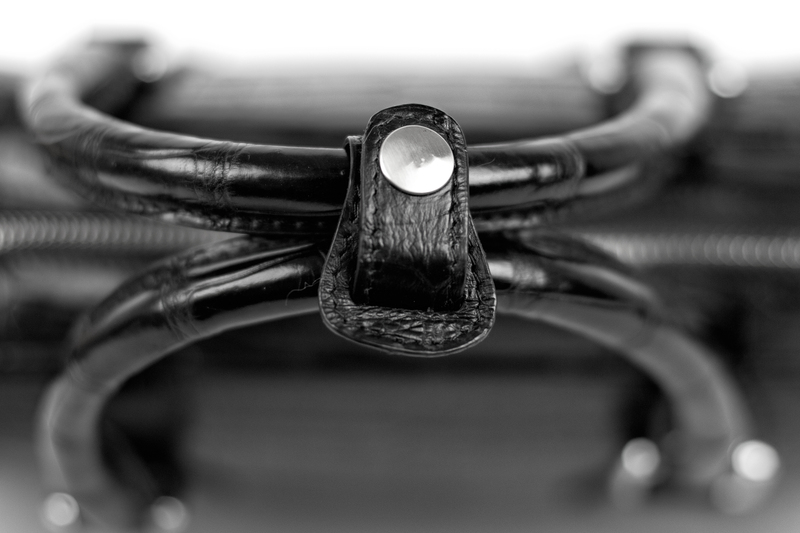 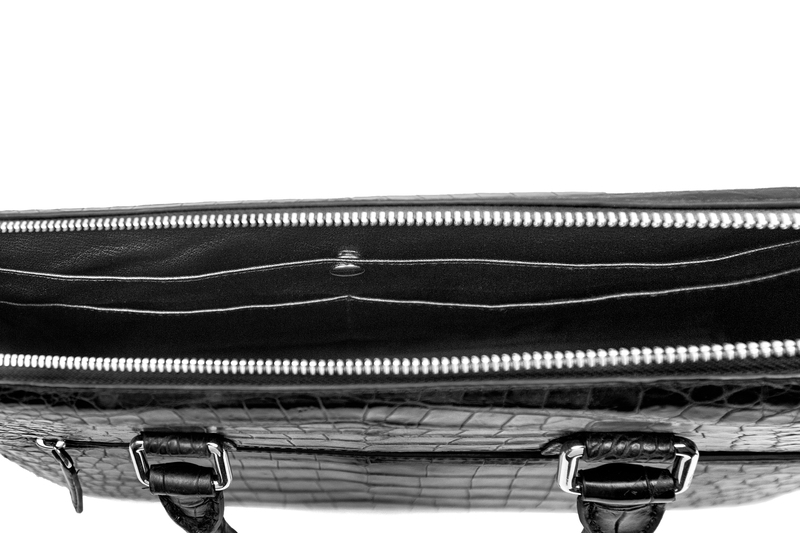 The interior of the briefcase features a zipper pouch that separates the inside into two sections.